When is the last time you put a key into your car's ignition? 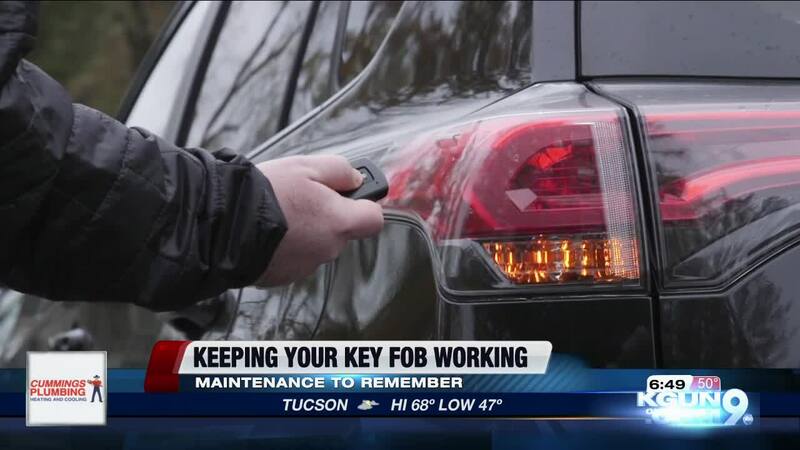 If you're one of the millions of drivers using a key fob to start your car, you might have trouble remembering. But as Consumer Reports explains, with the convenience of keyless entry, comes some basic maintenance of the fob itself. TUCSON, Ariz. - Sometimes in life, it's the little things that make you happy: Like locking and unlocking your car door, with a click of your key fob! But what if your key fob stops working? "Sometimes, they just need a little love, too," says Mike Quincy, Consumer Reports. When your fob isn't working, don't be in such a rush to shell out hundreds of dollars to replace it. The auto team at Consumer Reports says the first thing you should look at, is the battery. "A battery typically weakens after a year or two. Where you store your key fob also matters," says Quincy. Leaving your key fob in the car overnight, or even on a hook near the car is not a smart idea. "If the fob is too close to your car, it can continue to communicate with your car which could drain the battery," says Quincy. Your owner's manual should give you simple instructions to replace the battery for just a few bucks. Consumer Reports says if all else fails, be aware that many fobs have a key blade tucked inside that can manually unlock the doors.